You think you know your friends, your neighbors, your spouse, but what happens when you suddenly discover they have a garage full of guns? This edition of KVC-Arts is devoted soley to Friends With Guns, a play about issues that divide us. More than guns - it's about communicating... and listening. 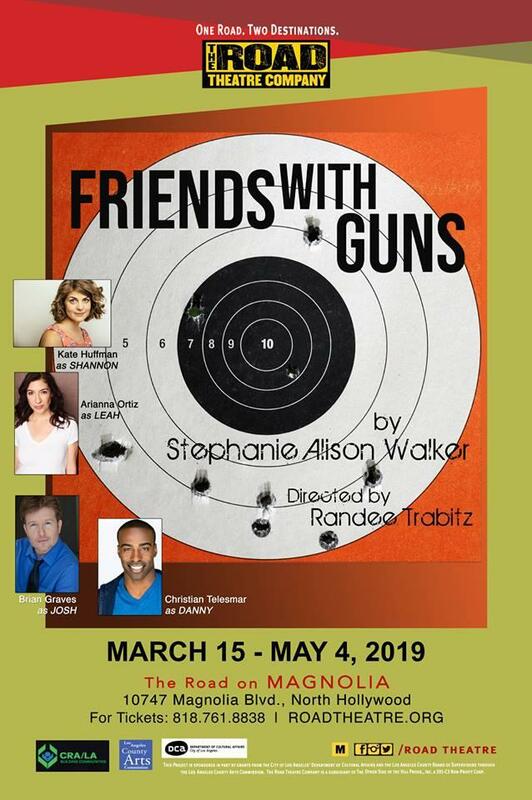 Friends With Guns is running through May 4th at The Road Theatre in North Hollywood. David Fleming speaks with playwright Stephanie Walker and director Randee Trabitz. First we have part two of an interview with David Fleming and singer-songwriter Pete Sands - AKA Blackkiss. We'll look once again at his cd release "Dirt Dance Floor," hear about some notable festivals, and what lies in store for the future. Then David speaks with Cliff Simon. Many may know him from his film and TV roles... but he also spent a year as a dancer at The Moulin Rouge, and has a new book ABOUT that year - and well beyond. This is part one of an interview we'll be continuing next week. David Fleming speaks with Cliff Simon. On the previous KVC-Arts, we heard about the adventures leading up to his book, Paris Nights - My Year at the Moulin Rouge. On this edition we hear about his acting career, begining in South Africa and then here in the US. Then it's Rick Dulock speaking about several cool additions to the KVCR-FM lineup. To close the program, Emmanuel Rogers speaks with Eddy Rivas, author of Red vs Blue - The Ultimate Fan Guide. Jessica Greenwell speaks with Rick West - President and CEO of The Autry Museum of the American West. Then it's Part One of David Fleming in conversation with singer-songwriter, Pete Sand - AKA Blackkiss. Music from his release, Dirt Dance Floor and more.